Tokyo is one of the world's best shopping cities. The shops and the service are world famous. Here are my picks for what and where to buy in Tokyo. See below for full details on what to buy and where to shop. Tokyo is not really just one city. Rather, it's like several cities connected by a really good train and subway system. 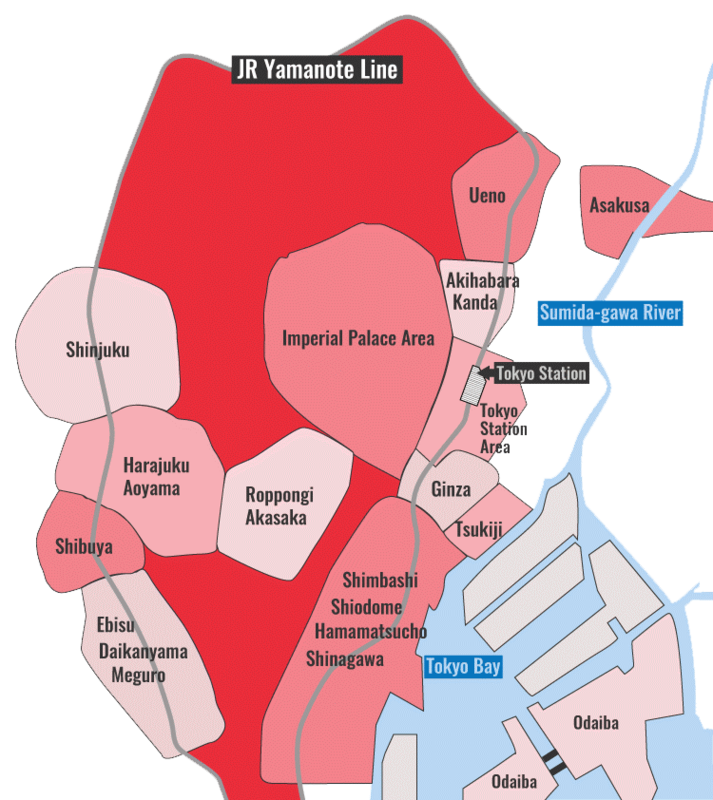 Each of Tokyo's urban nodes is centered around a train station, which is in turn surrounded by a shopping district, usually containing several large department stores. Of course, each of these nodes has a different character. 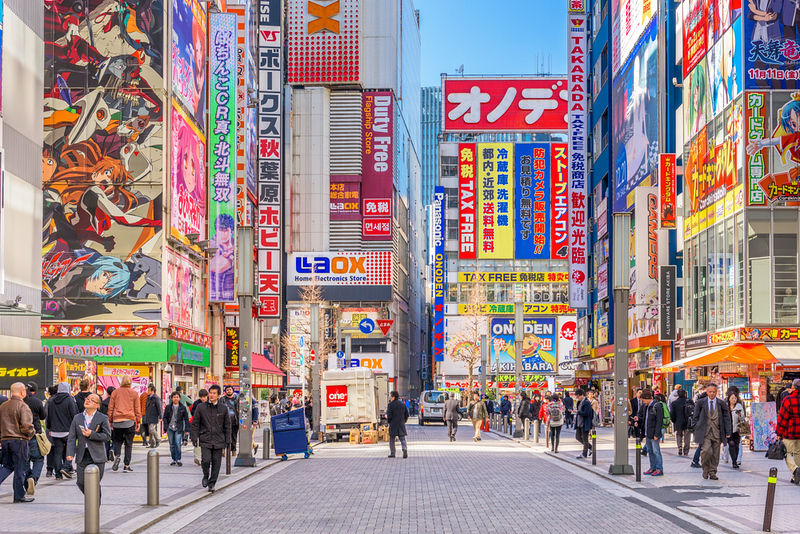 Here is a brief introduction to the best shopping districts in Tokyo and what to buy there. Ginza was Tokyo's first Western-style shopping district. Here, you'll find branches of most of the main department stores, the expensive boutiques and lots of smaller shops. It's not all high-priced glam here – you'll also find reasonably-priced shops like Uniqlo. This is one of the most pleasant districts for strolling, window shopping and browsing. See the Ginza district page for full details and specific shops. Tokyo Station is crammed with restaurants and shops. You'll find lots of places to buy souvenirs in Tokyo Station Ichiban Gai (First Avenue Tokyo Station) shopping/dining arcade inside the station. Also, Daimaru Department Store, on the Yaesu side of the station, is a great place for serious shopping (including food and sweet shopping). Finally, the Bic Camera store in Yurakucho is a great place to buy a SIM card for your phone. See the Tokyo Station Area district page for full details and specific shops. Shibuya is one of Tokyo's busiest and best shopping areas. It's popular with young people. You'll find lots of big department stores here, including a great branch of the gadget emporium known as Tokyu Hands. See the Shibuya district page for full details and specific shops. Shinjuku is another huge and busy shopping area. There are several huge department stores either over the station itself or outside the east exit. There's also the huge electronics and camera district outside the west exit. And, there's my favorite single shopping complex in the whole city, Takashimaya Times Square, which includes the city's best bookstore: Kinokuniya. See the Shinjuku district page for full details and specific shops. Harajuku is a shopping district popular both with young people and with wealthy adults. The main avenue of the area, Omotesando, is one of the most pleasant streets in the city for strolling and shopping. As you head east away from the station, shops become increasingly pricey and elite. See the Harajuku district page for full details and specific shops. Known as "Akiba," this is Tokyo's geek gathering point. Here, you'll find all kinds of electronics, camera, manga, anime, hobby and pop culture shops in one small area. See the Akihabara district page for full details and specific shops. For another list of things to buy in Tokyo and where to buy them, see my Best Tokyo Souvenirs page. Here, I'll tell you the best places to buy particular items in Tokyo. Click the district pages linked below for full details. For more ideas on things to buy and where to buy them, see my Best Tokyo Souvenirs page. For a great one-day shopping itinerary, see my 1-Day Tokyo Shopping Itinerary.